Country's Child #108: NEED A HUG? 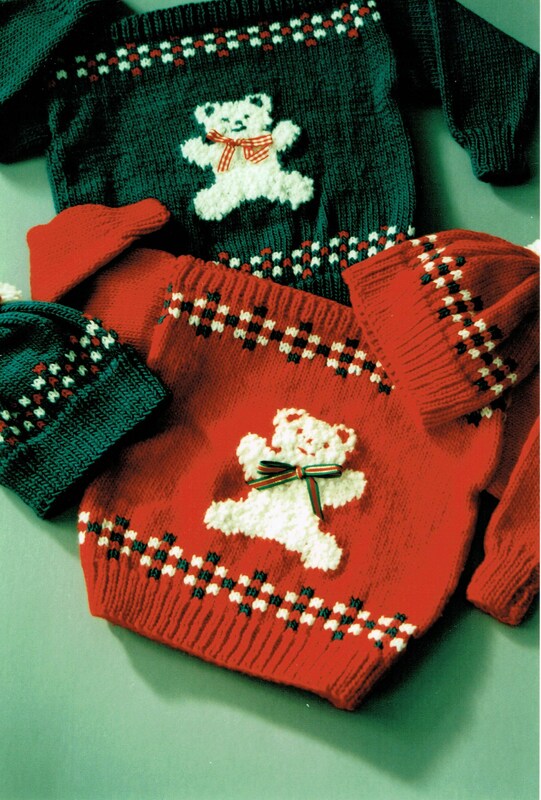 teddy bear pullover knitting pattern. For kids 2-4-6-8. Finished measurements 26-28-30-32 inches. Has boat neck and knit with worsted weight size 4 yarn. Gauge is 4 1/2 sts per inch on size 8 [5mm] needles.